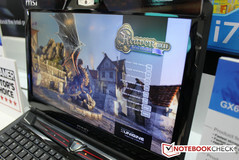 MSI hasn't left us short-handed just yet at Computex 2012 as the Taiwanese manufacturer continues to have much to present to the public. 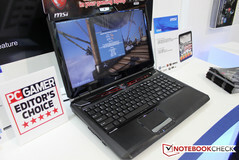 As if the S20 Slider and GT70 with the newly announced GTX 680M weren't enough, MSI has managed to pull in the new GX60 - a 15.6-inch gaming notebook equipped with the A10-4600M APU and a dedicated Radeon HD 7970M GPU. 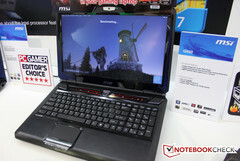 As an AMD-centric notebook, the GX60 is meant to complement to Intel/Nvidia notebooks sporting the latest Ivy Bridge and Kepler processors. 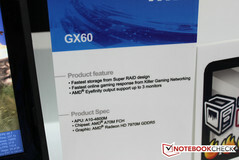 What has us most intrigued is that MSI will be targeting both the die-hard AMD and Intel fans with the GX60 and GT60/GT70 models, respectively, meaning that the inevitable benchmark comparisons between the polar models will most certainly attract the more vocal forum users. If our recent Trinity review is any indication, however, the A10-4600M is actually roughly comparable to the older dual-core Core i3-2310m. How this may or may not bottleneck the GPU will make for quite the interesting review when the time comes. Beyond the internal differences, we've been told that the GX60 will have to make do without Dynaudio sound, the SteelSeries keyboard and the high-performance Killer WLAN module. Otherwise, everything else about the notebook shell will be identical to the GT60/GT70 counterparts. 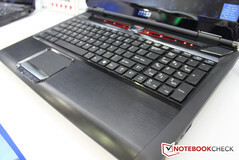 Fortunately, the lowered set of features will allow the notebook to retail for about $1200, although MSI is still uncertain as to when the notebook will see launch. A very tentative launch date sometime this July may be possible. 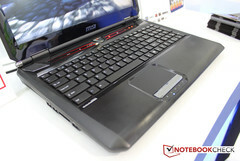 Lastly, the more down-to-earth MSI CR and CX Series will target entry-level multimedia users. 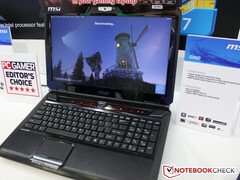 Both series will be largely identical, but the CX notebook models can be outfitted with a GeForce GT 640M for additional graphics power while CR models will include only an integrated GPU. Screen sizes start at 14 inches up to 17.3 inches, although it appears that only the 17.3-inch model will ship with a matte display for now.